Nashville, August 1920. Thirty-five states have ratified the Nineteenth Amendment, twelve have rejected or refused to vote, and one last state is needed. 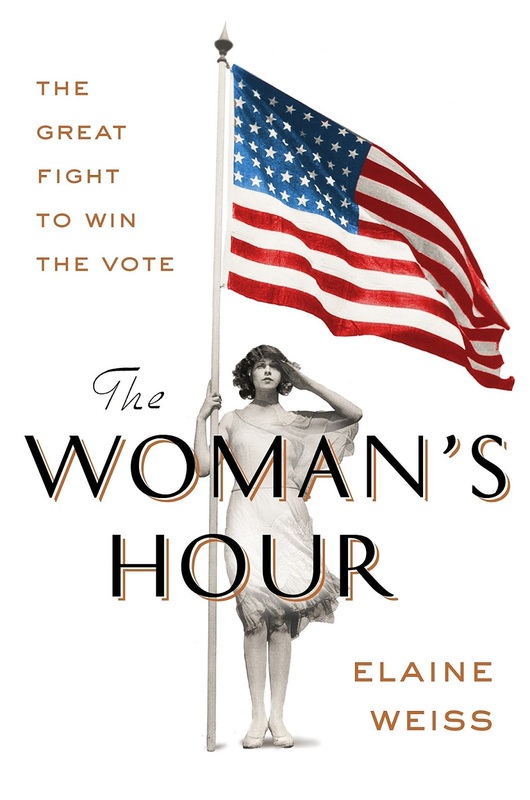 It all comes down to Tennessee, the moment of truth for the suffragists, after a seven-decade crusade. The opposing forces include politicians with careers at stake, liquor companies, railroad magnates, and a lot of racists who don't want black women voting. And then there are the ‟Antisˮ—women who oppose their own enfranchisement, fearing suffrage will bring about the moral collapse of the nation. They all converge in a boiling hot summer for a vicious face-off replete with dirty tricks, betrayals and bribes, bigotry, Jack Daniel's, and the Bible. First up, let me just say that while Gilbert does a very fine job of reading this book, I feel like I would have gotten much more out of it had I read it in print, maybe been able to take a few notes and kept a running track of who was who. There are a tremendous number of "characters" at play in this book, many of them well known to me but even more with whom I was, until now, unfamiliar. In light of our current political climate and emerging feminism, this book is quite timely. I couldn't understand, for example, how women I know couldn't understand why I walked at the first Women's March. They felt that women were perfectly fine as is and I was told by both women I don't know and women I do that I had not walked for them. Elizabeth Cady Stanton, Susan B. Anthony, Alice Paul, Carrie Catt, Lucy Stone and Victoria Woodhull must have felt very much the same way. They couldn't have possibly been able to imagine why women would not believe they had the right to vote. Yet, there was a very vocal contingent of anti-suffragettes (Antis) who fought every bit as hard as their male counterparts to prevent the Nineteenth Amendment from being ratified. The two sides became, by the time the vote came to Tennessee, so vocal and persistent that I almost began to feel sorry for the politicians stuck in the middle. They were threatened with the loss of their office if they voted for ratification and threatened with the loss of their office if they didn't. They were bribed, by both sides, flirted with, kept plied with liquor, and besieged day and night. Many of the men were afraid to commit one way or the other, many changed their decision more than once, some even changed their vote in order to take advantage of legislative rules that actually allowed them to advance their original position. Weiss has clearly done her research, from the beginning of the fight to win the vote to the ways that battle continues to impact women in politics, from the ways those fighting for abolition moved to pursue women's rights to the ways those same people betrayed African Americans in order to achieve the right to vote for white women, and the ways those suffragettes splintered, making their mutual cause that much more difficult to achieve. Those final days in Tennessee are recounted in detail; listening to those pieces made me imagine something akin to a slapstick comedy routine. Suffrage is a complicated issue, not as simple as just a woman's right to vote. This is a good resource to understand those complexities and the way those issues have echoed through until today. Still, even as I had issues with the methods some men and women used to reach ratification and the costs involved, I couldn't help but cheer in my car when the Amendment was passed. I can't wait to dive into this one next month. Wonderful feel of the book and summation. Amazing considering you listened to it without taking notes! I wish my brain pulled info like that.